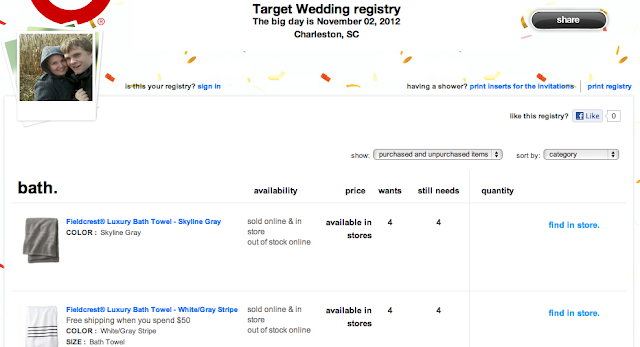 Soon after we got engaged, we started putting together our registry, because we knew it would take us some time to put everything together. 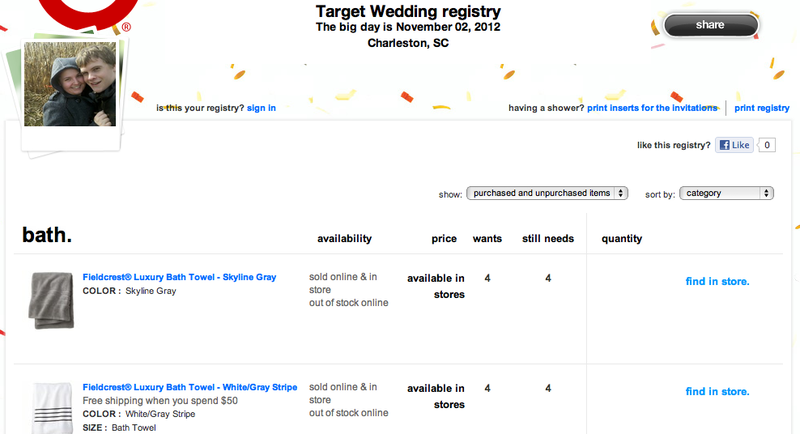 Since then, we've set up a registry with Crate and Barrel, Williams Sonoma, as well as Target, and been to each store at least twice! It's taken us a little bit to get everything together, and we decided to make it easier on our guests by using GiftRegistry360, which links all of our registries together, allowing your guests to find everything in one list. I put it all together, and put it up on our website, and then a little after that, I decided to make sure I knew what the "user experience" would be like for our guests. After all, I am in internet marketing, so I wanted to ensure that it was as seamless as possible. Unfortunately, it was not seamless. When viewing the product in our GiftRegistry360 list, you have an option to "Buy It". I'm frustrated, and I know my guests would be frustrated. I mean, after all, the purpose of using GiftRegistry360 is to have everything consolidated, and cut down on the steps for guests, right? What's the point in making them search again for what they'd like to buy us? So, following this, I contacted support assuming this might be a bug of some sort, and making sure that they are aware. Unfortunately, customer support was not very helpful, and it took them a couple emails to understand my issue, and then they confirmed that that was just the way the system worked. Unfortunately, I will not be using GiftRegistry360, and am looking to consolidate our items into just 2 stores. Just a note to other brides - make sure to follow through on your guest experience! It's important that you know how things work so that you can answer questions as well as catch any bugs that you may not be aware of on the "admin" side of things!